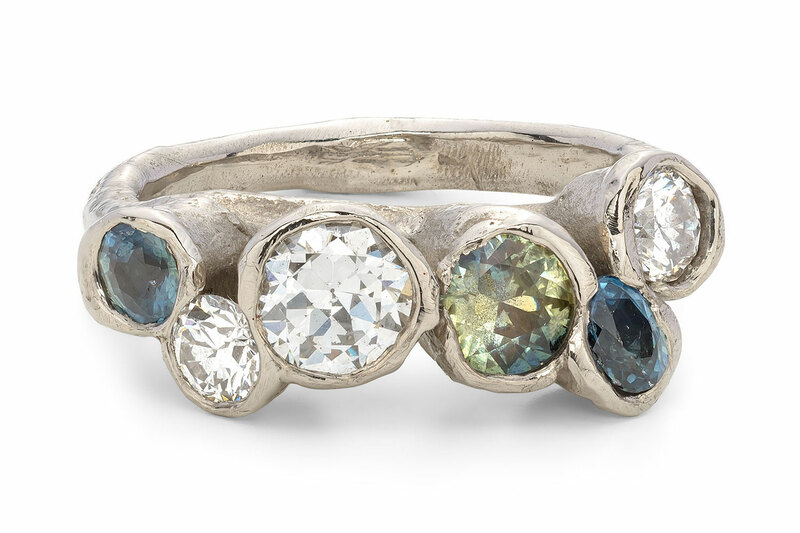 Emily Nixon creates fine jewellery with a sea-worn character, inspired by forms and textures found along the shore where she lives in West Cornwall. 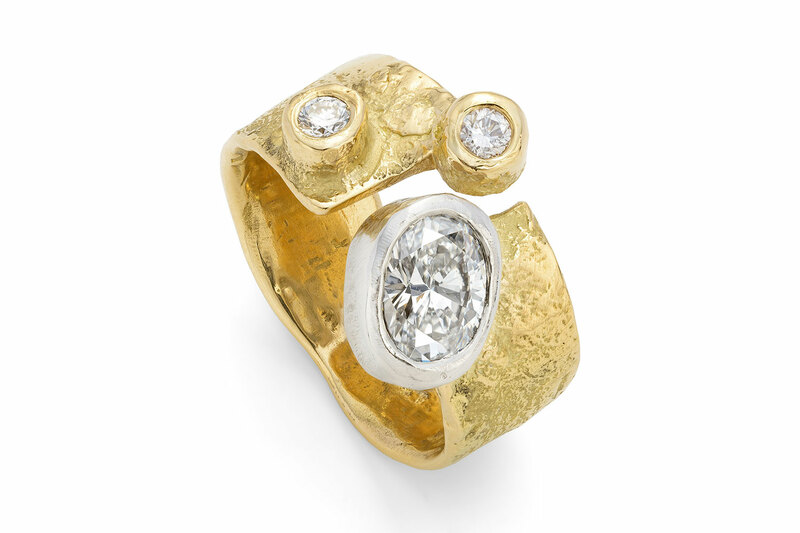 Following her training in Fine Art and Textiles and ten years as a gallery curator, she returned to being an artist in 2002, making experimental sculpture and jewellery in silver. 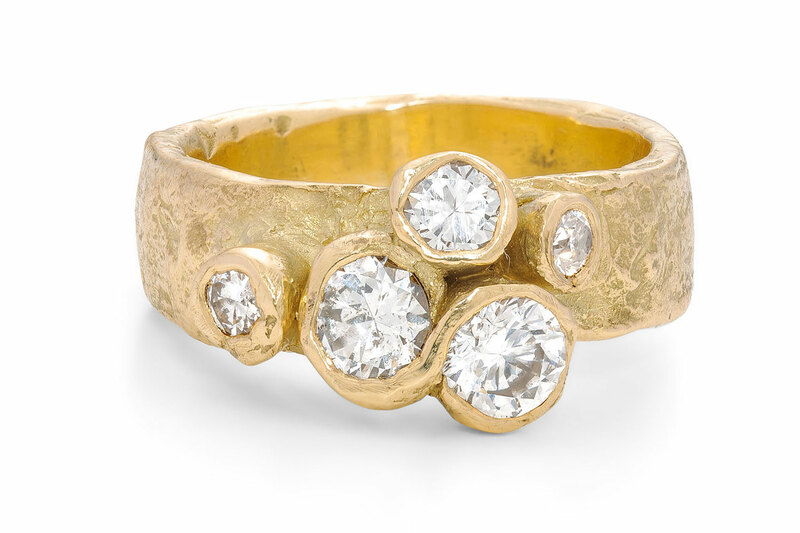 Over the past sixteen years her work has continued to evolve; keeping a fluid, hand drawn irregularity to her design aesthetic, she continues to approach each piece as she would a sculpture, beginning in wax. 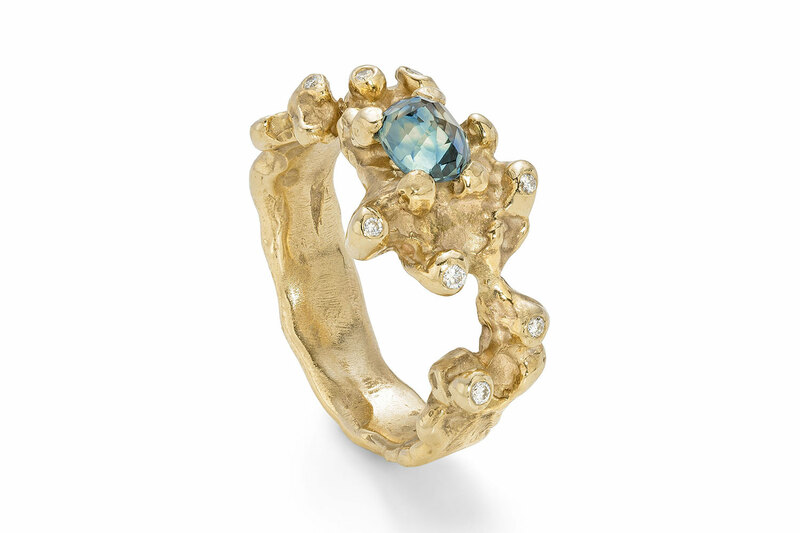 More recently the painterly selection of sapphires and tourmalines tangled into her seaweed rings have added to the distinctive language of the coast that characterises her work.